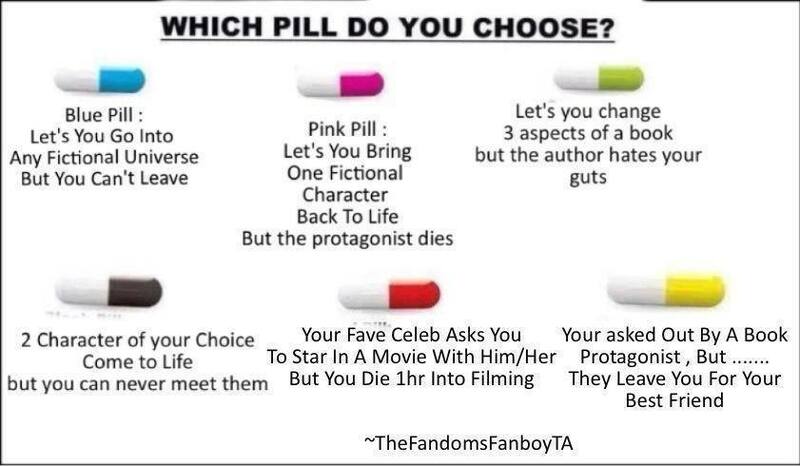 REBLOG: Which Pill Would You Choose? I would choose the blue pill! And the universe I would choose is Tamora Pierce's Tortall. I've been re reading her books for so many years now they feel like home. I'm down with a cold or a flu, don't know which, so I'm re-reading my favorite books for comfort.